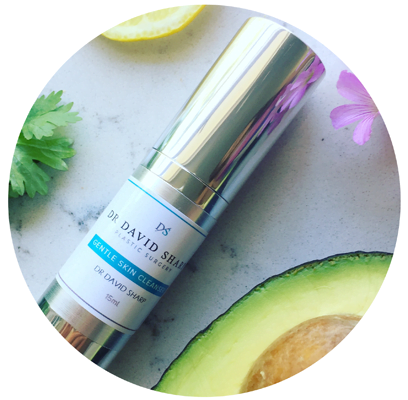 Developed by Dr Sharp, this moisturising gel is richly infused with key ingredients that have been proven to produce visible skin health improvements. An aqueous gel base enables the deep penetration of potent anti-ageing ingredients such as beta glucan, niacinamide, hyaluronic acid, chloramphenicol, cucumber oil and vitamin E.
More than just smoothing and plumping, this moisturiser takes a medical approach to restoring optimal skin health, improving epidermal balance, boosting the skin’s immunity, regulating oil flow, reducing oxidative stress and stimulating collagen production. Hydration serum does this without a plethora of unnecessary ‘filler’ ingredients, perfumes or greasy, skin-clogging ingredients that don’t actively penetrate and nourish the skin. This formulation is recommended after Fraxel fractional laser resurfacing and Dermapen microneedling to maintain an ideal moisture balance for healthy, new skin. Available over the counter at our clinics, or online via the contact form below. If you want visible results from your moisturiser, it’s important to ask what it contains, and what each component is specifically doing for your skin. Key ingredients in our Hydrate serum include..
A natural extract derived from the cell wall of oat kernels. It molecules are small enough to penetrate the skin’s epidermis to reach the dermis layer of the skin, where lines and wrinkles form. While moisturising and smoothing the skin, tentative research also shows that is may reduce the risk of non melanoma skin cancers among people who have previously had basal cell carcinoma or squamous cell carcinoma. Also known as vitamin B3, it boosts skin immunity, increases the production of ceramides (an essential component of the skin’s lipid barrier) and prevents trans epidermal water loss, regulating oil flow. With a healthier epidermal lipid barrier, the skin is more resistant to environmental damage. It also boosts collagen, improves luminosity and reduces the formation of pigmentation by slowing down the transfer of melanin to the skin’s epidermis. One of the qualities of youthful skin is its ability to hold and retain moisture. As we age, our skin slowly loses its ability to maintain this vital, plumping moisture. As a result, we experience a visible loss of firmness, suppleness and skin tone. Hyaluronic acid is a glycosaminoglycan; a naturally occurring substance that keeps every aspect of skin stable, safeguarded and renewed. It also attracts and holds vast amounts of moisture (one gram of hyaluronic acid can hold up to 6L of water). The effect is an instantly-improved appearance of fine lines and wrinkles. When delivered correctly, hyaluronic acid enhances the skin’s moisture content, plumping from below while making the skin’s outer layer softer, more hydrated and radiant. Together, these proven ingredients’ skin-replenishing properties help protect and mitigate the impact of aging - along with our harsh Queensland environment - especially when used as part of a holistic anti-aging routine, diligent sun protection and healthy lifestyle.